Water treatment is the collective name for a group of mainly industrial processes that make water more suitable for its application, which may be drinking, medical use, industrial use and more. A water treatment process is designed to remove or reduce existing water contaminants to the point where water reaches a level that is fit for use. Specific processes are tailored according to intended use - for example, treatment of greywater (from bath, dishwasher etc.) will require different measures than black water (from toilets) treatment. All water treatments involve the removal of solids (usually by filtration and sedimentation), bacteria, algae and inorganic compounds. Used water can be converted into environmentally acceptable water, or even drinking water through various treatments. Water treatments roughly divide into industrial and domestic/municipal. Industrial water treatments include boiler water treatment (removal or chemical modification of substances that are damaging to boilers), cooling water treatment (minimization of damage to industrial cooling towers) and wastewater treatment (both from industrial use and sewage). 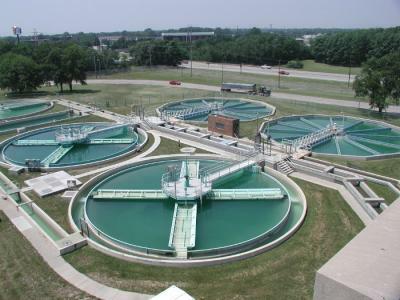 Wastewater treatment is the process that removes most of the contaminants from wastewater or sewage, producing a liquid that can be disposed to the natural environment and a sludge (semi-solid waste). Wastewater treatments usually consist of three levels: a primary (mechanical) level, in which about 50-60% of the solids are removed from raw sewage by screening and sedimentation, a secondary (biological) treatment level in which dissolved organic matter that escaped primary treatment is removed by microbes that consume it as food and convert it into carbon dioxide, water and energy. The tertiary treatment removes any impurities that are left, producing an effluent of almost drinking-water quality. Disinfection, typically with chlorine, can sometimes be an additional step before discharge of the effluent. It is not always done due to the high price of chlorine, as well as concern over health effects of chlorine residuals. Seawater desalination are processes that extract salt from saline water, to produce fresh water suitable for drinking or irrigation. While this technology is in use and also holds much promise for growing in the future, it is still expensive, with reverse osmosis technology consuming a vast amount of energy (the desalination core process is based on reverse osmosis membrane technology). 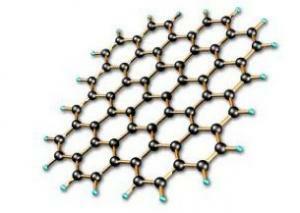 Graphene is a two dimensional mesh of carbon atoms arranged in the form of a honeycomb lattice. It has earned the title “miracle material” thanks to a startlingly large collection of incredible attributes - this thin, one atom thick substance (it is so thin in fact, that you’ll need to stack around three million layers of it to make a 1mm thick sheet!) is the lightest, strongest, thinnest, best heat-and-electricity conducting material ever discovered, and the list does not end there. 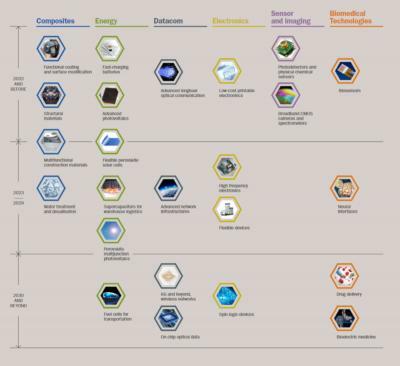 Graphene is the subject of relentless research and is thought to be able to revolutionize whole industries, as researchers work on many different kinds of graphene-based materials, each one with unique qualities and designation. Water is an invaluable resource and the intelligent use and maintenance of water supplies is one of the most important and crucial challenges that stand before mankind. New technologies are constantly being sought to lower the cost and footprint of processes that make use of water resources, as potable water (as well as water for agriculture and industry) are always in desperate demand. Much research is focused on graphene for different water treatment uses, and nanotechnology also has great potential for elimination of bacteria and other contaminants. Among graphene’s host of remarkable traits, its hydrophobia is probably one of the traits most useful for water treatment. 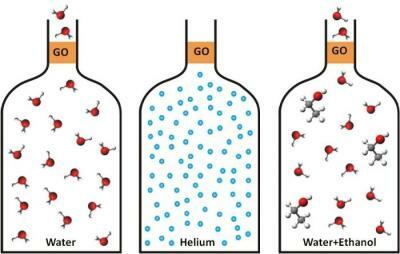 Graphene naturally repels water, but when narrow pores are made in it, rapid water permeation is allowed. This sparked ideas regarding the use of graphene for water filtration and desalination, especially once the technology for making these micro-pores has been achieved. Graphene sheets (perforated with miniature holes) are studied as a method of water filtration, because they are able to let water molecules pass but block the passage of contaminants and substances. 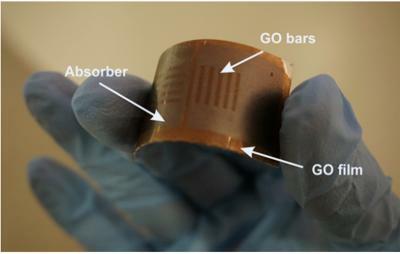 Graphene’s small weight and size can contribute to making a lightweight, energy-efficient and environmentally friendly generation of water filters and desalinators. It has been discovered that thin membranes made from graphene oxide are impermeable to all gases and vapors, besides water, and further research revealed that an accurate mesh can be made to allow ultrafast separation of atomic species that are very similar in size - enabling super-efficient filtering. This opens the door to the possibility of using seawater as a drinking water resource, in a fast and relatively simple way.